Monique Proulx was a Québécois driver who raced mostly in Canada in the 1970s. Born in 1947, Monique Proulx was a Québécois driver who raced mostly in Canada in the 1970s. had a rather shaky start in life, contracting polio at the age of three, which meant that she had difficulty walking until she was a teenager. Initially, she worked as a teacher. This came to a temporary halt at the end of 1965, when she found herself with a baby son, Stéphane. As a single mother, she continued to work, but now as a model and actress. In 1971, she appeared in several Canadian TV adverts, including one for tights. She also owned a local chain of beauty salons. She began racing in 1971, after becoming romantically involved with Jacques Fortin, who raced at club level. They shared a BMW 2002, and Monique also raced a Datsun 240Z. She started out in novice races, and often made the podium. She finished as runner-up in a Canadian Production endurance championship in the Datsun. Her start in motorsport apparently followed a court battle with the Canadian Auto Sports Club, which had vetoed her international license being awarded. Early in her career, she had a female rival, Louise Roberge. The press were keen to publicise their apparent dislike of one another. In 1972, she bought her first single-seater, a second-hand 1600cc Formula Ford. This car was far more expensive to run than the BMW, so she continued to share her boyfriend’s car, making only a few appearances. In the BMW, she was eighth in the Sanair Trans-Am race. Another run in the Sanair Trans-Am race in 1973, in the same car, led to a fourteenth place. She was the top Canadian finisher. After some Formula Ford and Formula Vee races, she raised her single-seater game in 1974, and took the step up to Formula Atlantic. In her first season, she became the first woman to qualify for a race at the US Grand Prix at Watkins Glen, although it was a support race, rather than Formula One. This year, she raced Alan Karlberg’s car, with sponsorship from Kimberly-Clark. Back in a saloon, she was the first, and still the only, woman to win a mixed race at Catamount Speedway. She was racing in Ministocks. Monique was quite successful in getting innovative sponsorship deals, albeit short-term ones. She was apparently the first female driver to be sponsored by a tobacco company, although the details of this are proving hard to find. This was probably due to her TV work, which included acting, stunts and being a “traffic girl” in a helicopter. 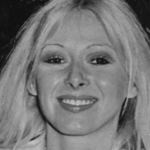 In 1976, she appeared on the Canadian version of “Superstars”, but was not among the leading sportswomen. Later, she also raced a Chevrolet Camaro. In 1979, she did at least one race in Trans-Am, at Trois-Rivières, finishing eighteenth. Her son, Stéphane, was also a racing driver. She retired from the circuits in 1980, in order to support him in his own racing activities. He was a contemporary of Jacques Villeneuve and was tipped as one to watch. He died in 1993, from head injuries complicated by advanced HIV. Monique died in 2012, aged 65.